If you suspect that your spouse is cheating, you might feel the urge to do something. You’re not sure what you should do, how you should do it, or if you should do anything at all. Accusing your partner of cheating is one thing that you can never take back. You want to be sure that you’re making all the right moves before you confront your partner. Statistics show that partners admit to cheating in over 1/3 of marriages. If you’re a victim of infidelity, here’s what not to do when catching a cheater. If you suspect your partner of infidelity, refrain from going to social media to ruin his reputation. Even if he deserves it, that’s not the right move. The only person you’re hurting is yourself. Screenshots of your social media rants could make you the joke of the town. If you need to confide in someone, choose a close family or friend that you can trust. Online is not the place to air your dirty laundry. You’ve probably seen stories where the enraged spouse destroys the cheater’s items. Don’t even think about it. As tempting as it may be to take a bat to car windows, it could land you in a legal predicament. You could face financial consequences for any damage you do to their property. Take the high road when catching a cheater. You shouldn’t have to pay for the mistakes that someone else made. If your partner is in your children’s lives, make sure they aren’t involved. Keep the issue to yourself until you have sufficient proof of the infidelity. Don’t make comments to the children about their parent’s disloyalty. This could end up damaging children’s self-esteem and family perceptions later on. This is a serious one. No matter how angry you are, do not resort to physical violence. A broken nose won’t heal your broken heart. Physically hurting a person won’t make you feel better. Resorting to physical violence could result in a legal matter, and that isn’t worth it. In the most extreme cases, cases of domestic violence have resulted in million-dollar lawsuits. If you feel inclined to get physical, seek therapy. Few things in life hurt like a partner’s betrayal. This is a traumatic event that could hurt you for a long time. Give yourself time to heal and have faith that you will overcome it in due time. It’s okay to feel the initial shock once you’ve learned that your partner is unfaithful. But you have to put your life back together after the infidelity. If you suspect a cheating partner, leave it to the experts. There’s a right way to catch a cheater, and there are professionals who do it well. Don’t overwhelm yourself with pulling together evidence and confronting your partner. Handling infidelity in a relationship can be embarrassing, painful and uncomfortable. You don’t have to do it alone. Facing disloyalty is an emotionally difficult process. However, most people react in ways that make matters worse. If you suspect infidelity in your relationship, make sure you protect yourself. 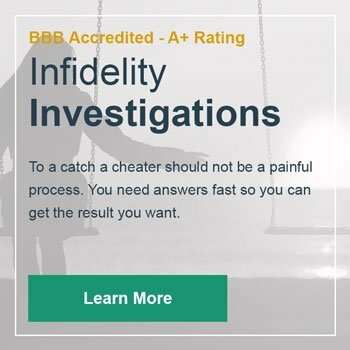 If you suspect your partner is cheating, don’t hesitate to call us.